I really don’t know why, but in recent weeks I’ve been thinking more than usual about what we do and how we do it. This morning I remembered that I made the little drawing up there at the top of today’s blog as last year’s birthday present to myself to remind me that the way I live actually has an effect on the world – one that I have to live with, too. All This and Karma, Too? It makes me smile to see that drawing again, and, as one thing tends to lead to another, seeing it engendered another recollection; namely, one of the best, if humourous, definitions I’ve ever heard of the word karma. So many people toss this word around like so much perfume or cologne, but in general I think its meaning may not be so clear. Anyway, someone once told me there was an old Chinese saying that defined it perfectly: Spit straight up, learn something new. 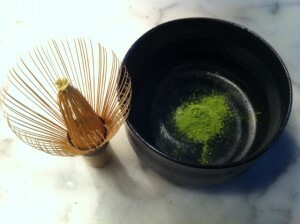 Just after the first edition of this book was published, I sat at the dining table with my dear friend, Kaz Tanahashi . Kaz is a master calligrapher, a painter, writer, translator of significant Buddhist texts, and, at the age of seventy-eight years old, he continues to travel the world for months at a time working for peace. I took it as one of the greatest compliments of my life, and laughed hard, too, but in all honesty, I’d prefer not to destroy cultures, any more than I want my sticks to frighten rice, not now and not the rice my grandchildren eat seven generations from now, either. 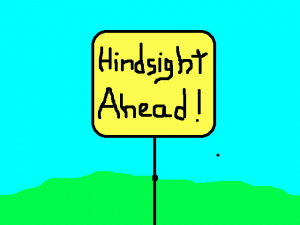 If hindsight is ahead in this great all inclusive moment called now, then one of the great miracles of human understanding and awareness is our ability to see into the future right where we stand at any given moment, and use hindsight now. It seems worth considering, anyway, worth practicing. If you’re reading this note I feel certain you already do this somewhat, so let’s keep going, together. And, let’s make more silly signs and poems that make us laugh, appreciate and see what we are. Thanks for reading along. If you enjoy this and can think of someone who might enjoy it as well, please send them the link. And, of course, please feel free to comment to let me know what you’re thinking, too. Hello and welcome to what I hope will be a bit of a meeting place – albeit a somewhat disembodied one. For many years now I’ve wanted to have something called What I’m Thinking About Now as a way of reaching across to people, and having people reach back. Originally, I thought it might be nice to have a newspaper column with those words up on the marquee, so to speak, but the ambition gene seems to have skipped the hospital room where I was born and, at most, I may have mentioned this to one or two people, neither the owner of a newspaper. Oh, well. Fortunately, and quite recently, a few friends liked this reaching across idea and put these pages together so that all such activities might have an actual home. Thank you – it’s very kind.